Pricing Includes:Full Color Digital Imprint on the front. (16 pt. board). 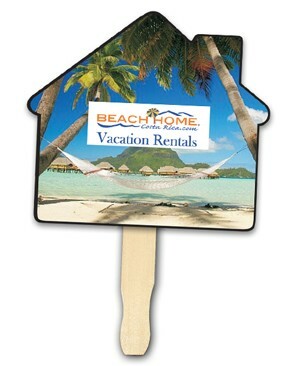 Actual size: 7-3/4" W x 6-15/16" H. All fans are stapled and may scratch during shipping, factory cannot guarantee. Imprinting Handle:$50.00/M (G) or less per side. Proof:E-Proof $10.00 (G) each, Product Proof $50.00 (G) each (suggested when color matching is critical). Second Side Print:For Black Imprint Only, Add $.05 (G) run charge per item. For Process or Up to Four Colors, Add $.20 (G) run charge per item, on new orders and reorders.